Warmer temps are just around the corner, and we’re totally enamored with all things floral in prep for Spring. 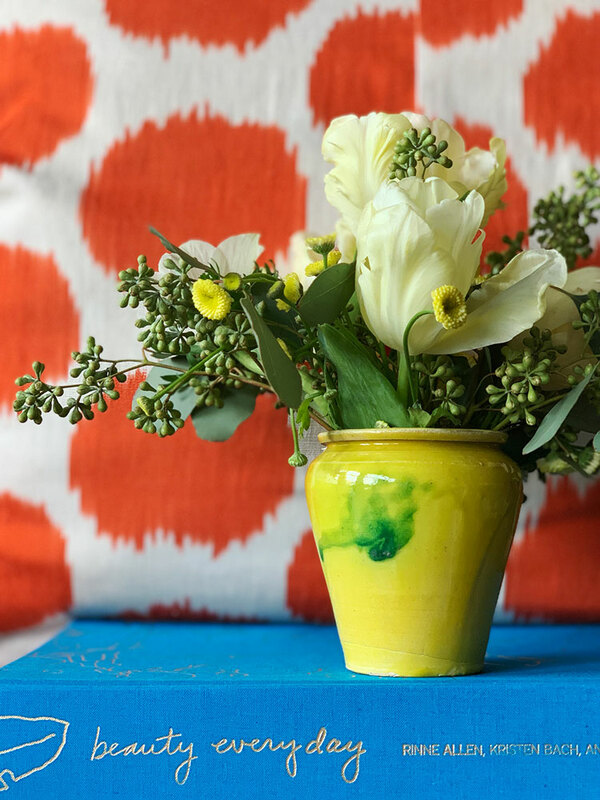 To get us ready, we enlisted the help our favorite Ann Arbor florist, University Flower Shop, to fill our vases and vessels with springtime bounty and share their top tips for what’s hot in the world of flora and fauna. A huge thanks to University Flower Shop in Ann Arbor, MI for these luscious arrangements and tips. This Thursday, September 8, 2016 marks the VIP opening (consider yourself cordially invited) of the annual Atlanta Homes & Lifestyles' Serenbe showhouse... and the debut of our first ever product design (EEEK! 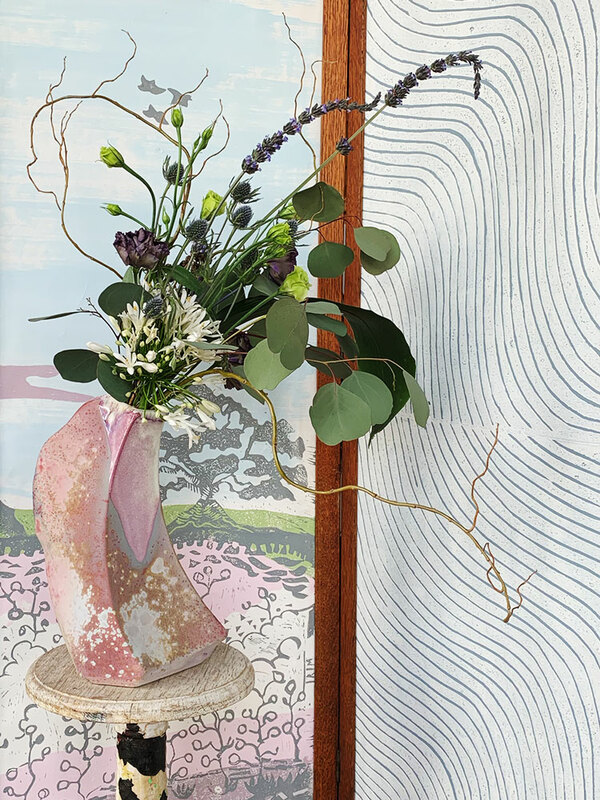 ), a bespoke wallpaper mural based on our interpretation of a modern southern landscape, which we created in deep, soulful collaboration with one of our favorite artists & wallpaper designers, Amy Mills of Paper Mills in California. We cannot wait to share loads of images with y'all from the event at Serenbe later this week, and you'll certainly see it in print in the December issue of AH&L, but in the meantime please take a few moments to follow our cross-country creative collaboration journey with Amy in this absolutely lovely short film about the project. You can also follow along with the hashtags #serenbetextilelofts & #clothandkindpluspapermills on Instagram but we definitely hope to see you in the flesh on Thursday night! ... and let us just tell you, we left extremely excited about so much of what we saw! Our brains are literally spinning with ideas of ways we can truly make our client's works of art shine. We'll have a few Journal posts in the coming weeks to recap our time in Vegas, but absolutely have to start by telling you about the two artisinal framing companies that made our hearts race. First, Goldleaf Framemakers out of Santa Fe, New Mexico. There seriously are not be words to adequately describe how stunningly gorgeous the work of is, but these pictures will help us convey our sentiments. Marty Horowitz, the genius craftsman behind this company, literally wrote the book on gold leaf framemaking, as he's been well known in the gilding industry for many years, and his book "An Introduction to Water Guilding" has become the bible for guilders internationally. His work is un-be-lievable! He also happens to be a super cool guy, which makes the prospect of working with him on custom projects just darn fun. Go peruse the site for more inspiration in any number of distinct historical styles including Impressionist, Italian, Spanish, Dutch, French, Contemporary / Modernist, American & Concerto... and contact Marty directly for any wild hairbrained creative framing idea you may have. Custom is right up his alley and he's got the skills to make it happen. Second, the impeccable work of Rhonda Feinman. Just like Marty, Rhonda uses only genuine gold leaf on her handcrafted frames, and they are breathtaking. This pattern below, which we spied at her booth at WCAF, had us completely entranced. It's available in a wider version as well as a narrower version (shown here, nested together) - both amazing! All of Rhonda's custom frames are made in their NY facility with the utmost respect for the legacy of centuries of craftsmanship in frame making. Artisans at the company hand carve, cast and apply decorative composition ornament, then guild with only genuine gold leaf to produce sensitive and faithful reproductions of fine antique frames. Also very well known for their repair and restoration work of antique frames, Rhonda Feinman is where it's at when it comes to recreating lost ornaments, cleaning and refinishing or even completely resizing or replicating original antique frames. More reports from our time at the WCAF show coming soon, but in the meantime we'd love to hear from you on your favorite framing resources, tips, ideas or questions. Leave a comment below. IMAGE CREDITS // All photos taken by Krista & Tami of CLOTH & KIND except first image of the Paris Hotel and fifth image of a Goldleaf Framemakers frame which were taken by Holly Phillips of The English Room. SOURCES // Goldleaf Framemakers & Rhonda Feinman Custom Frames. Our friend and talented textile designer, Seema Krish, has just unveiled her new line of solids in the most beautiful hues! The Pinwheel collection of Linen/Cotton blends comes in fourteen colors ranging from Goa Sand to Peacock Blue to Cherry Lane Red, all that perfectly match her vibrant patterns from past collections. Get inspired by following along on Seema's Instagram where she is highlighting the 14 colors in action over 14 days. You just might be the lucky winner of their giveaway - a signed edition of Pantone: The 20th Century in Color and a tote bag in one of Seema's signature patterns that we love so much. We're grooving on our friend Brian Paquette's new European inspired textile line. He just recently introduced three bold geometric patterns - Brussels, Saint Malo & Edinburgh - and each one comes to life with a sophisticated yet unpretentious air in their muted hues of gray, black and white. For more information, or to purchase yardage, contact Brian Paquette Interiors directly. You'll find these and many other gorgeous textiles for the home that have been curated by CLOTH & KIND in our Textile Files on Pinterest. Tracey Tubb's origami wallpaper stopped me in my tracks as I rounded the aisles at last fall's Tent London, during the London Design Festival. A graduate of Britain's Royal College of Art, Tracey is a perfectionist. She designs and creates her origami wallpaper in single strips that she folds by hand "with meticulous attention to detail that borders on obsession." Tracey's wallpaper is available as single drops to be used as art, or as a whole wall installation. She welcomes bespoke commissions. To view more wallpaper - like Tracey's - that's loved by Krista & Tami of CLOTH & KIND, check out their curated Textile Files on Pinterest, especially the Wallpaper board. Image Credits // Photo of framed wall panel and header by Lynn Byrne. Other images and quote from Tracey Tubb's website. It is a dream come true. If you are like us, you salivate over the gorgeousness of Fromental's handprinted wallpapers, some of which are even embroidered. And while those papers may be the gold star, truth be told, all that hand-done goodness comes a cost that not everyone can afford. But we have great news for you. Fromental is now producing printed chinoiserie wallpapers that are far more accessible in price and in our humble opinion look damn good! What do you think? Known as their Studio Fromental line, every order is still custom made to the client's requirements and begins with a hand drawing. Advancements in image capture and print, however, allow the company to deliver the elegant wallpaper that it is known for much more economically. You even have a choice. At the lowest price point are their Florent papers that while stunning, are entirely printed. 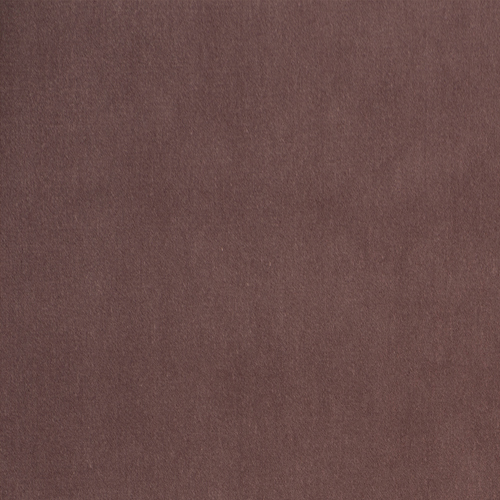 Florent is available in 22 standard color ways, and can be customized in a variety of ways. 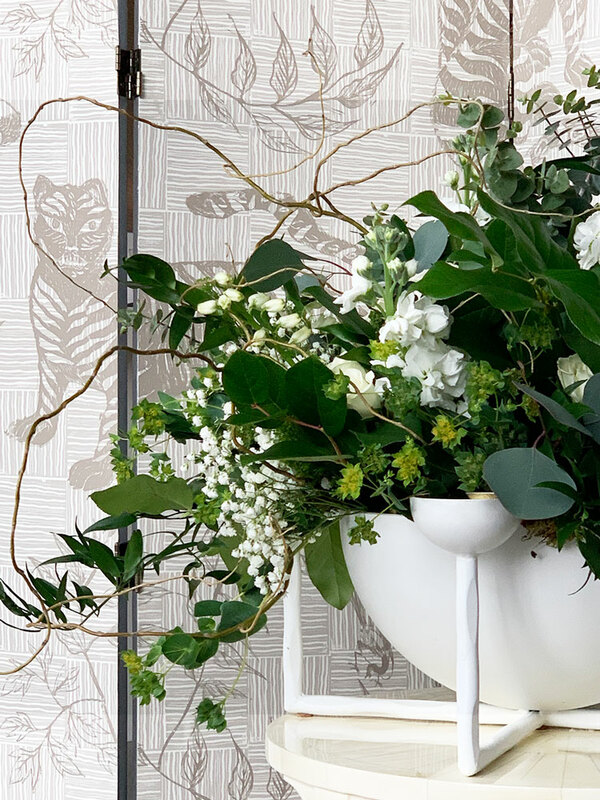 You also could kick it up a notch and choose a wallpaper that is printed on a hand brushed ground, such as this beauty from Fromental's Bambois range. Either way, choosing beautiful chinoiserie wallpaper for your home is now a realistic proposition for many more folks. We are so inspired! Photo Credits // All images courtesy of Fromental. Today we are inspired by the refreshingly original and wonderful artwork of Rachel Rogers and are pinning her custom crests onto our client's private Pinterest boards like mad... how darling would one of these be framed in a child's room? ABOUT // Rachel Rogers is a New York-based artist known for her playful bespoke heraldry. A San Francisco native, Rogers attended Parsons School of Design prior to working under Rodrigo Corral. Rogers' ink and water-color creations are both whimsical and elegant and reflect the personal components of her clientele. Go check her out! The series of Rabari rugs created by Doshi Levien for Nani Marquina evoke the sensual and shiny world of tribal folk embroidery of India. We are completely and utterly infatuated. When we were out in LA for all of the LCDQ Legends events, we got to hang with our super cool, irreverent and charming buddy Christian May of Maison21 and check out his innovative new Shapes rug collection which he designed exclusively for 27 Ground, run by our talented friend Ginna Christensen. Shapes is a collection of modern, geometric-influenced cowhide rugs. Each design is completely customizable in shape, pattern and color for infinite possibilities. Look at all of the amazing things that can happen when we disconnect ourselves from wi-fi! Thank you, Christian, for sharing with us and huge, heartfelt congratulations on Shapes, which in our humble opinion is some damn good and truly innovative rug design. Shapes rugs are available exclusively through 27 Ground at Woven Accents. IMAGE CREDITS | Photo & video taken by Krista Nye Schwartz of CLOTH & KIND. Madeline Weinrib has a shaggylicious new line of shag carpets, baby... and they are oh-so-good. The luxurious line of rugs was inspired by Madeline's own drawings, with creamy hues, graphic lines and rich textures. For more Madeline inspiration, check out our recent Proust on Design interview with her. We think it's pretty cool when we see design inspiration coming from textiles and so when we came across Du Verre Hardware's Kuba collection by Clodagh when we were in Los Angeles for BlogTourLA, we were instantly smitten. You may already know about our deep appreciation of Kuba Cloth from our recent Provenance post on the topic, but if you haven't already seen it please check it out here. It's brimming with Kuba goodness & inspiration, and remains one of our favorite posts to-date! So tell us, what are you loving lately that was inspired by Kuba Cloth? Oh, happy Friday! Madeline Weinrib has just relaunched her website and is debuting her first ever online store, allowing all of us non-New York'ers to buy her gorgeous wares to our hearts content. The site presents visitors with the option to “Shop” or “Discover.” Under the “Shop” section visitors will have unprecedented online access Madeline’s signature carpets, pillows, furniture, fashion, and accessories. The “Shop” section will also feature new online-only pieces created exclusively for the website. The “Discover” component of the site will invite visitors to experience the many threads that inform Madeline’s vision, including insightful blog posts on her inspiration, travels, profiles on artists and designers around the world, and updates on Madeline’s work as International Ambassador for Project Mala, a non-profit working to eliminate child labor in the carpet-weaving region of India. In addition to unique design elements that cater to online shoppers, the new MadelineWeinrib.com offers members of the trade the opportunity to login and unlock special features reserved exclusively for interior designers, including sitewide trade pricing, seamless sample ordering, and online access to trade-only products. Happy weekend & happy shopping, y'all!